Ninjas and Chips. Just a Regular Friday Happy Hour. Laird and Becky discuss a new millennial-focused insurance brand. Plus, a ranking of the Frito-Lays variety chip pack. What is the Answer to the Ultimate Podcast? AM Best announced that they are going to include a formal innovation assessment in their rating procedure for insurance companies. Becky and Laird discuss this news and how innovation is important from all corners of the industry, not just carriers. Plus, what is the answer to the ultimate question? In our second episode from #Elevate19, Matt Aaron from Insurance Agent Mobile App joins Laird and Becky to talk about his history, his product, and his views on interconnectivity in the industry. Plus, Becky gets called out for a comment made in a previous episode. Inspired by #Elevate19, Becky and Laird talk about the state of conventions and trade shows in the industry and what makes a good convention. Plus, a story from Bourbon Street. Becky and Laird dig into the content bin to discuss Lemonade's latest transparency report, news jacking and the best time to record a podcast. There also might be a duet. It's the end of cars as we know it! Or, is it? Becky and Laird talk about the decline of car manufacturing and ownership. Plus, how reading the fine print of an insurance policy paid off. Is the Next Generation of Insurance a Peeping Tom? Insurers are increasingly using non-traditional sources such as social media to learn more about consumers in an attempt suss out high-risk behavior. Join Becky and Laird as they talk about the risks of using this type of data and how it impacts the privacy of today’s insureds. Though it has not been as publicly discussed as it has in other industries, the insurance industry has its share of #MeToo moments and stories. The M&A activity of the IA channel hit a record high in 2018. We discuss these transactions and what that means for the industry. Plus, Laird talks about his tic he discovered thanks to the podcast, and we share a little behind the scenes insight at the videos we do for our day jobs. Policygenius recently expanded into other lines of business, including auto insurance. Only, their auto insurance offering, unlike their other offerings, is based on a referral model. So, Laird and Becky discuss this news and how lead generation in the industry has changed, including buying leads from lead providers. Plus, we talk about our recent technology challenges. Becky and Laird talk about the traits of successful independent insurance agents. 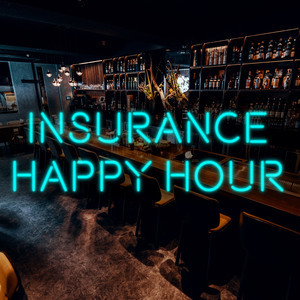 Also, it's been one year of Insurance Happy Hour, and we share some of our favorite episodes from the first year. Loss ratio is one of the most important metrics for insurance carriers. Becky and Laird talk about the loss ratio from the third quarter of 2018 for insuretech startup Root specifically and this critical metric in general. Plus, Laird gets on his soapbox about lazy insurance agents, and Becky has a confession. Does convenience matter as much as some think it does in the insurance customer experience? Becky and Laird discuss convenience versus quality. Plus, a new year, a new password. And, Laird had an unexpected event this week. State Farm released a commercial that many said was a jab at Lemonade. Laird and Becky talk about the commercial and how bots can help improve the customer experience, but we still need people in the insurance industry. Plus, we talk about New Years and one of Becky's pet peeves.